Mother Nature has provided us so many gifts which are simply outstanding and praising. Out of so money outstanding gifts we can easily highlight one among all, the waterfall. Huge size, beautiful site and pure natural beauty keep people attracted towards them year after year. No matter from which direction you are viewing the waterfall you will only witness a panoramic effect from all dimensions. 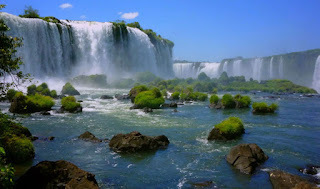 Listed below are 9 waterfalls which are loved by the people from all across the globe because of their beauty, glorious outlook and unforgettable histories. 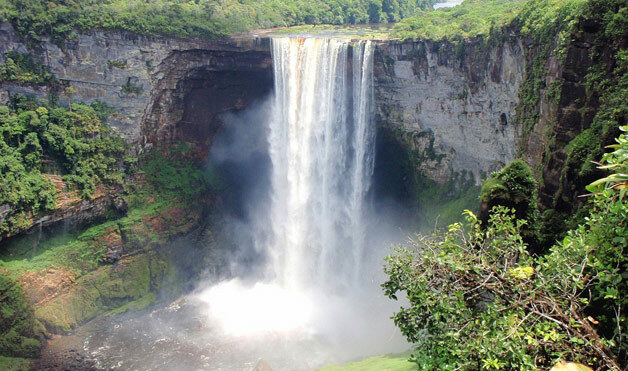 Located in the Guyana Highlands, a surface that is nearly 2 billion years old, Kaieteur Falls is one of the world’s most powerful waterfalls. 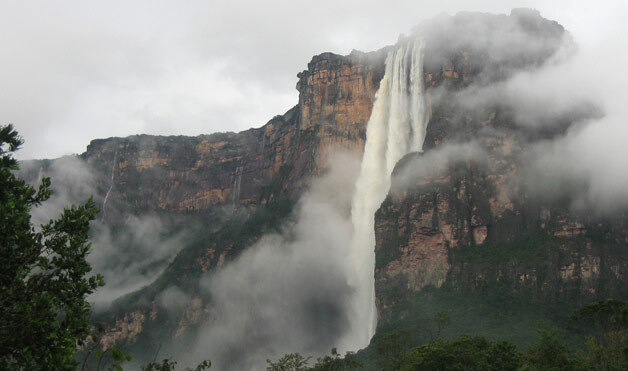 Amazon river–bound, the 371-foot wide waterfall starts with a 741-foot sheer plunge, followed by a short series of steep cascades. 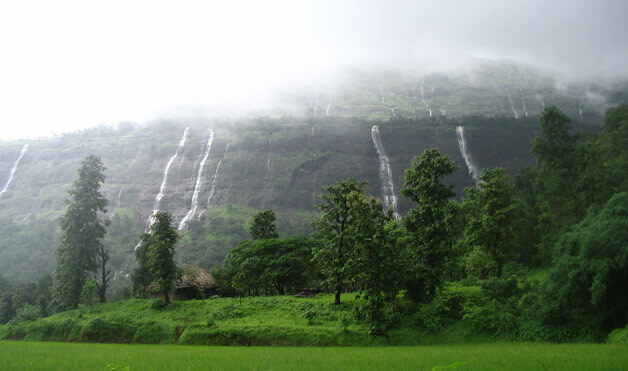 It owes its extraordinary beauty to monstrous height and impressive water volume. Accessible by land and water, visitors can also enjoy the unique plants and wildlife of the surrounding rain forest. Located between Argentina and Brazil, the Iguazú Falls are the result of a volcanic eruption and consist of 275 cascades of water along the 1.67-mile-long Iguazu River. Though not very high—the tallest drop is at 269 feet—the falls are often referred to as “The Devil’s Throat” due to its U shape and powerful plunges. Divided by various mini-islands, the waterfall was recently nominated as a finalist in the “New7Wonders of Nature” initiative. At a total height of 2,425 feet, the Yosemite Falls, located in Yosemite National Park within California’s Sierra Nevada Mountains, is the highest waterfall in the United States. Made up of three sections—the upper, middle and lower—the highest fall is 1,430 feet high and spews water aggressively from a rocky ledge. 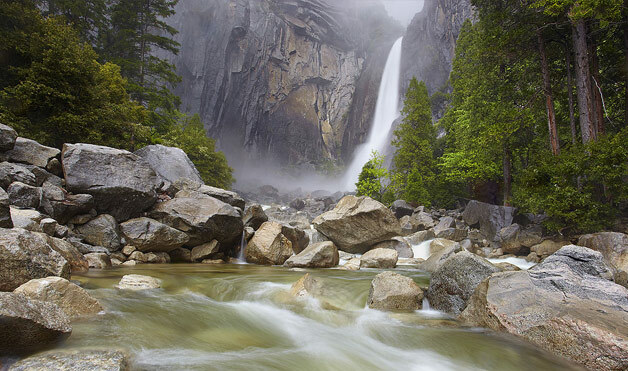 Legend has it that the Native American Ahwahneechee tribe, who originally inhabited Yosemite Valley, believed the pool at the base of the waterfall was inhabited by evil spirits. Ribbon Fall, also located in Yosemite National Park, is thought to be the highest single-drop waterfall in North America, but water only runs through it from April to June. By July, there isn’t a drop of water to be seen until snow melts in the following spring. At 1,612 feet high, visitors can catch water falling in a line as thin as a ribbon while set against a backdrop of gorgeous cliffs. 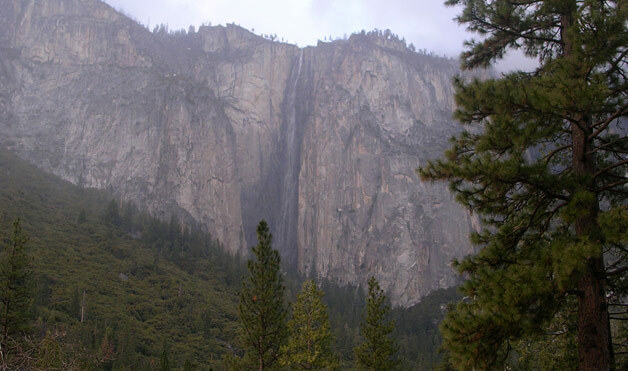 Situated on the west side of the rock formation dubbed “El Capitan,” the waterfall remains only a sight to be seen from afar since there are no trails to the top. 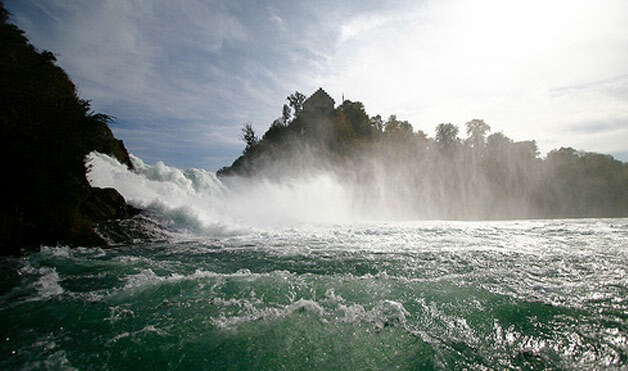 The largest waterfall in Europe, Rhine Falls—located on the High Rhine where the Rhine River runs through Northern Switzerland—is thought to have been formed approximately 15,000 years ago by erosion-resistant rocks, which narrowed the riverbed to form a water alley. At 492 feet wide (including the rapids) and 75 feet high, its three sections are divided by islands of piled jagged limestone. The tiered, whitewater Dudhsagar Falls—which means “Sea of Milk”—is a popular tourist destination located along the Mandovi River in Goa, India. Carved steps provide easy access to the top, which soars 1,017 feet above the ground, though visitors are just as likely to be seen taking a dip in one of the many pools that form at the base of the waterfall. Located in Hawaii’s Waimanu Valley, the Waihilau Falls is one of the tallest waterfalls in the world and has an estimated drop of 2,600 feet. Situated on the northeast shore of the Big Island, this area of Hawaii remains largely uninhabited and is known for its unspoiled beauty. 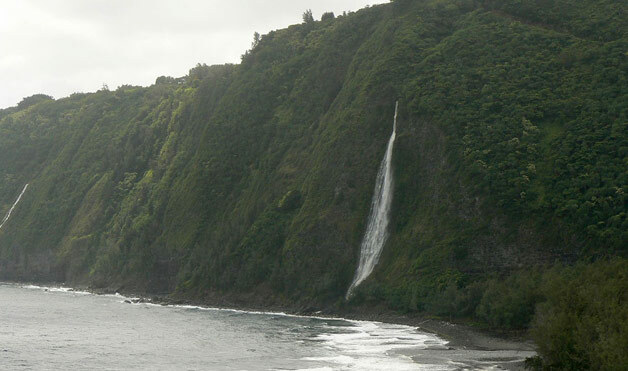 Many visitors hike to the falls from the close-by Waip’o Valley taking in the gorgeous flora and fauna along the way. This massive waterfall, which partially resides in Ontario, Canada, is located in America’s oldest state park—the Niagara Reservation State Park. Classified as a segmented waterfall because the water flow splits into two side-by-side falls, Niagara Falls is one of the most powerful waterfalls in North America. Four of the five Great Lakes (Superior, Michigan, Huron and Erie) drain into the Niagara River before spewing into Lake Ontario—which makes up one-fifth of the world’s fresh water supply.